On this page we, Hurgada Diving, would like to introduce to you our diverse program, which is possible with us. 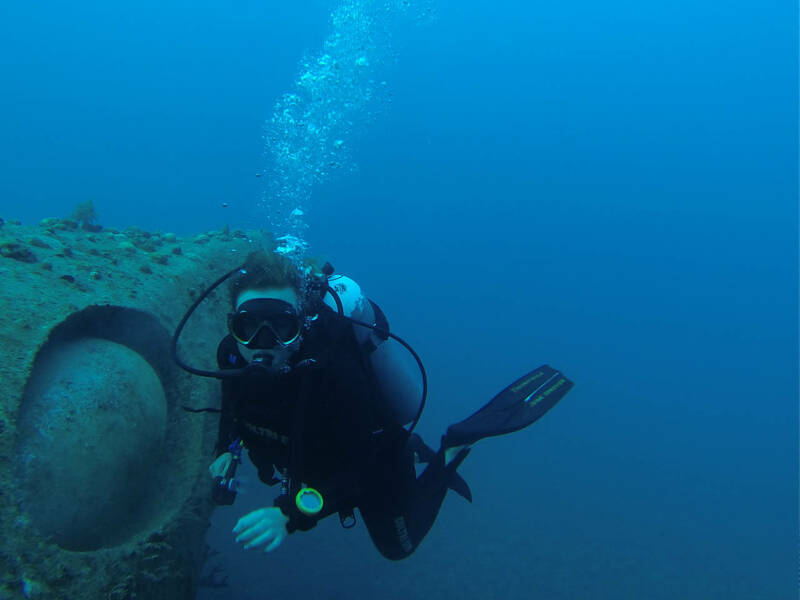 Different types of diving courses, introduction diving, introduction diving course, speciality courses and snorkeling are described here. 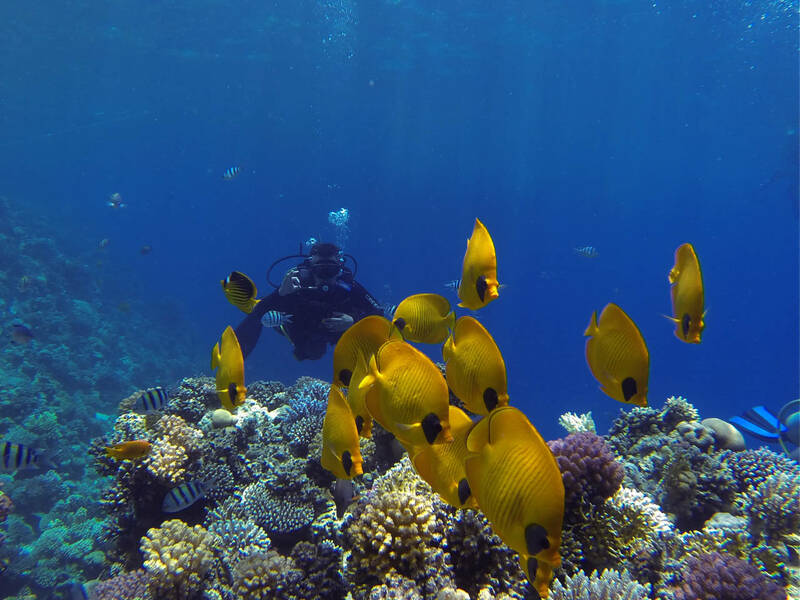 Hurghada is one of the best places in the world to practice diving for many reasons: one of these reasons is the weather and the coral reefs. 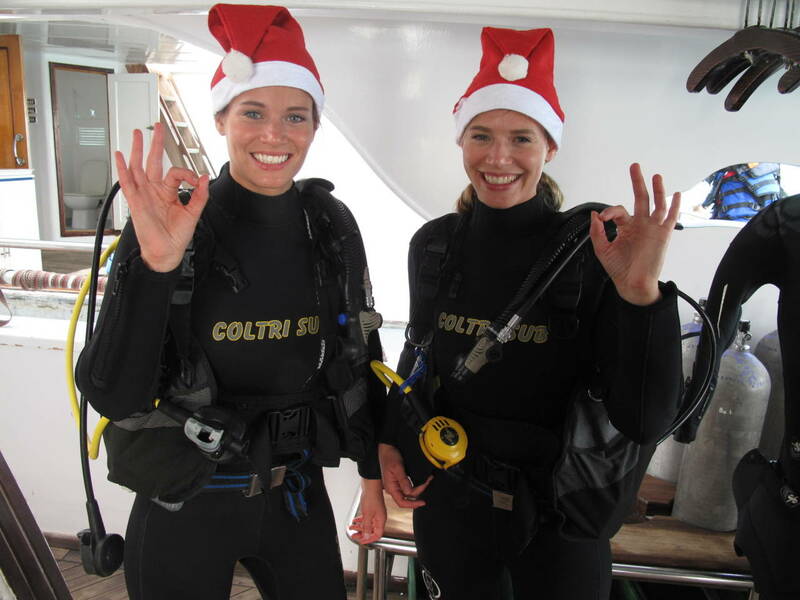 The climate is the whole year round warm and encourages divers to practice day trips. 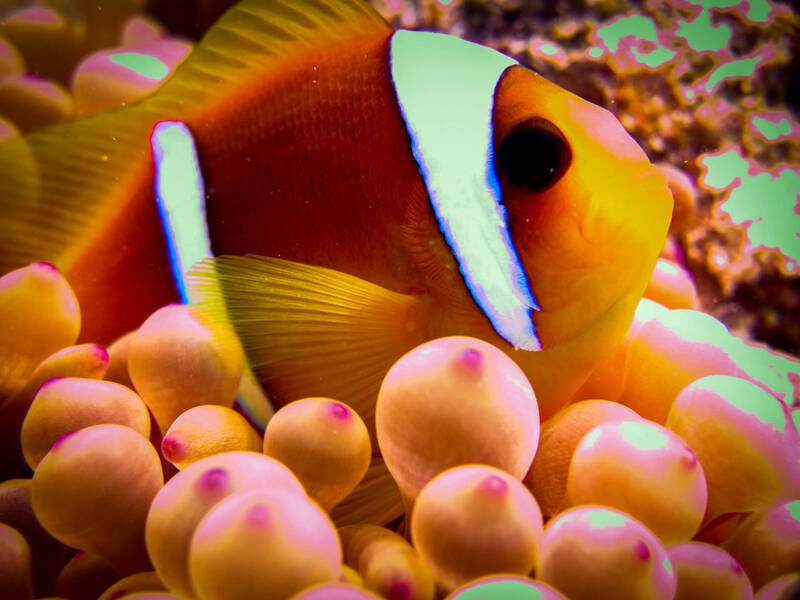 The coral reefs here are one of the most beautiful in the world, which are known for their variety of colors and the many colorful fish that live here in Hurghada, in the Red Sea. ​Diving excursions are starting daily between 8:00 and 9:00 in the morning where the most diverse dive sites are controlled depending on the weather conditions, way of dives (such as intro dive, introduction diving course, diving course, day trips, special dives, etc.). 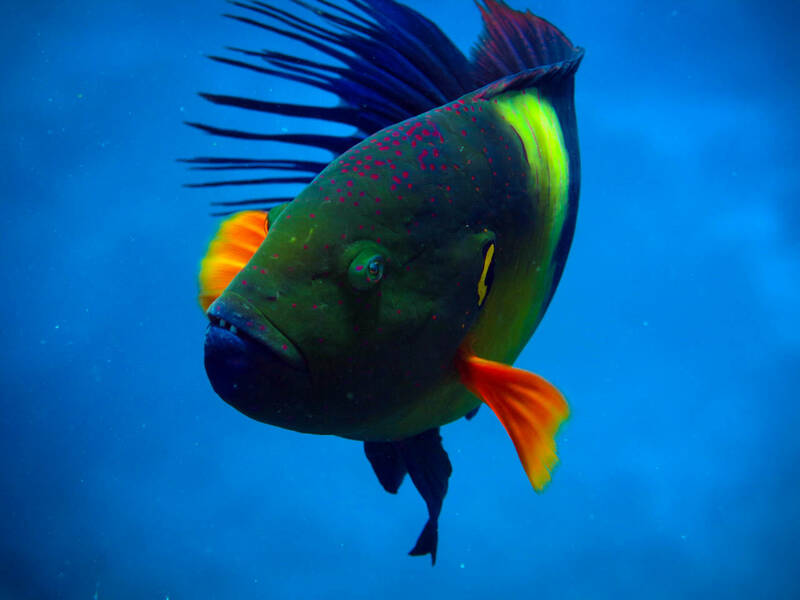 Due to the year-round warm temperatures, the visibility in the water is very clear, which highlights even more the wonderful view of the colorful underwater world. At the end of the first dive you return to the boat. The time is not over yet. Before having lunch together, you have the opportunity to swim or snorkel. After eating, do not forget to take the time to relax on the sundeck. Then the dive site is changed for the second dive and at about 16 o'clock you come back to the harbor. 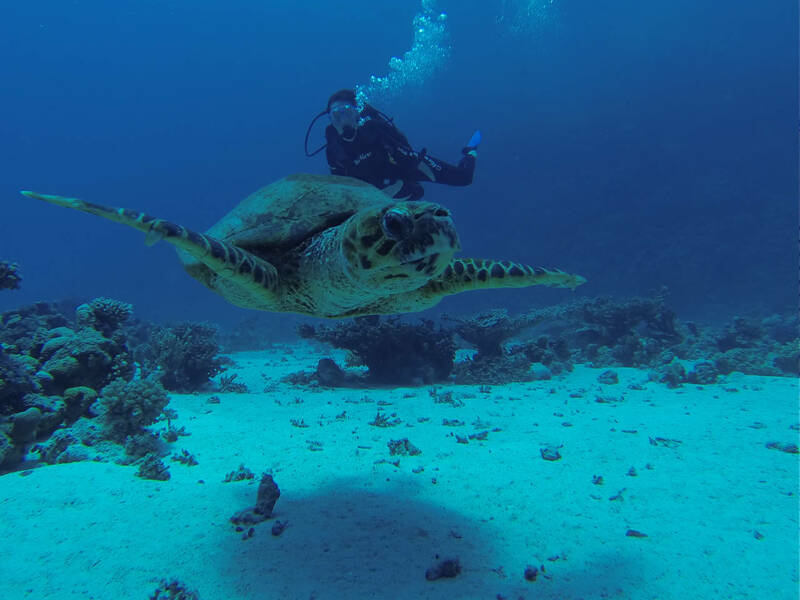 If you are interested in diving Hurghada and love the underwater world, then do not hesitate and start a diving course in Hurghada from PADI or CMAS with us, Diving Hurghada, and feel well under water! The Open Water Diving Certificate is the first certificate for adults over the age of 15 years. From 10 to 15 years there is the possibility to do the Junior Open Water Course. 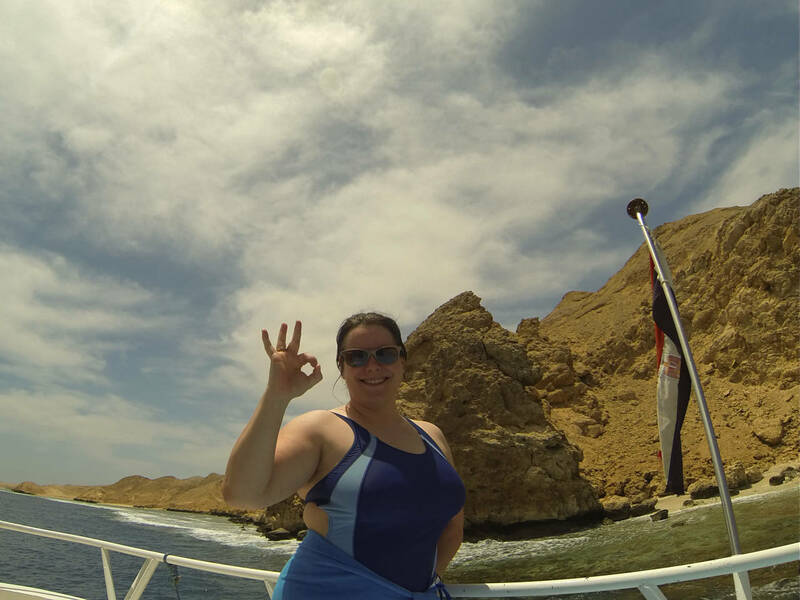 Of course you can do your diver's license anywhere in the world at any dive center, but here at Diving Hurghada the difference is that besides studying you can enjoy the sun and for the whole thing at a good price. 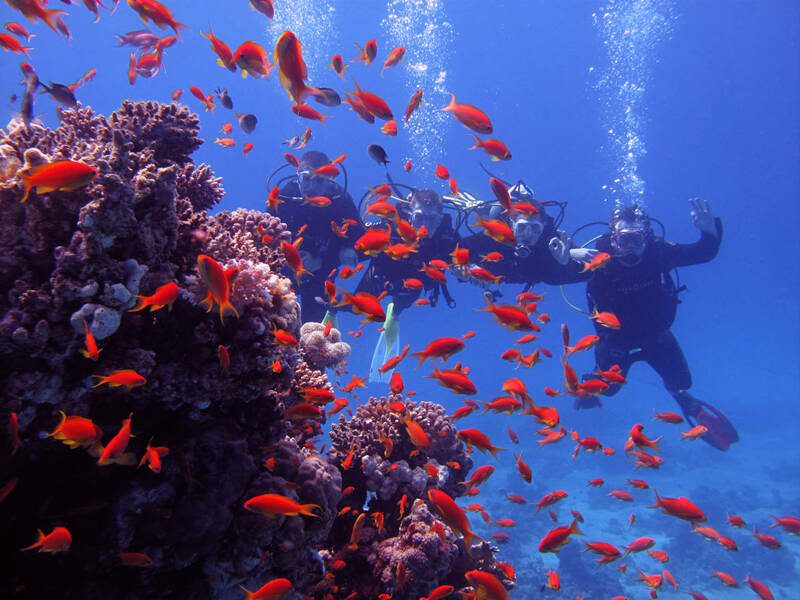 The diving course in Hurghada lasts 4 days and you have a maximum depth of 18 meters. The first 1 or 2 days are spent in the classroom to watch a DVD and read the book, as well as doing the exercises learned from theory in the swimming pool and / or shallow water. Another possibility is to start directly from the boat and do the theory lessons with DVD and book on the boat. The practical exercises are done at shallow dive sites. For example, such exercises would be how to use the mask and the regulator and maintain balance. For the other days day trips are planned on the boat with diving and of course the exam. Everyone can dive without having a diving license. 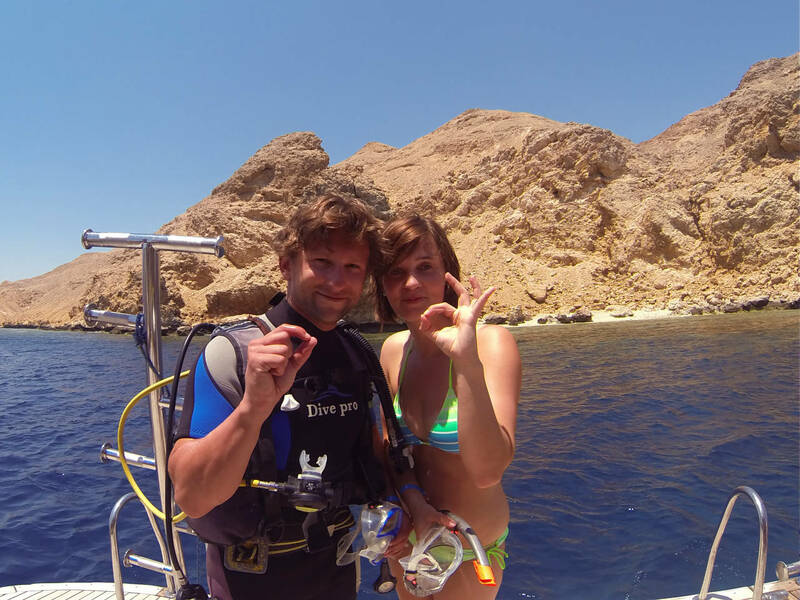 We, Diving Hurghada, offer intro dives in small groups. Discover the underwater world with us! Some people are wondering how it is possible to dive under water without a dive license. 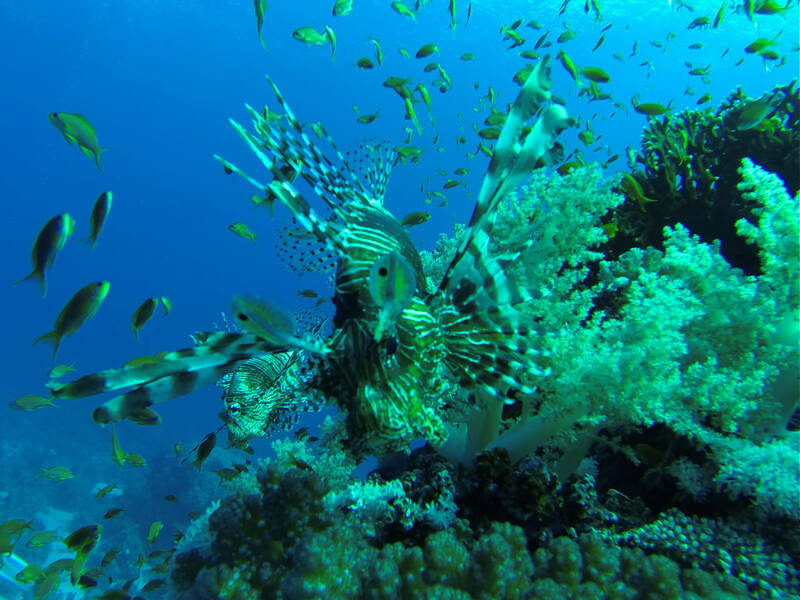 Here you can find out more about day trips with introduction dives in Hurghada. Our excursions are starting daily between 8.00 and 9.00 o'clock in the morning. We choose the dive sites for you so you can enjoy your day with us. After about 40 to 60 minutes we reach the first dive site. The Instructor will provide you with information regarding the excursion and the boat and equipment during this time, such as: put the mask on your face, how to breathe, how to cope with problems, if any, ... But never forget: DIVING IS FUN !! There are 2 dives made with diving Hurghada. Each dive lasts about 20 or 25 minutes at a depth of 5 to 6 meters. On the first dive, the guide takes only one person at a time. After the diver is in the water, looks underwater, feels well and the instructor knows that everything is alright, you go by rope underwater and dives together with the guide who holds you by the hand. On the second dive you can, if you want, dive with a friend or family member and the diver. 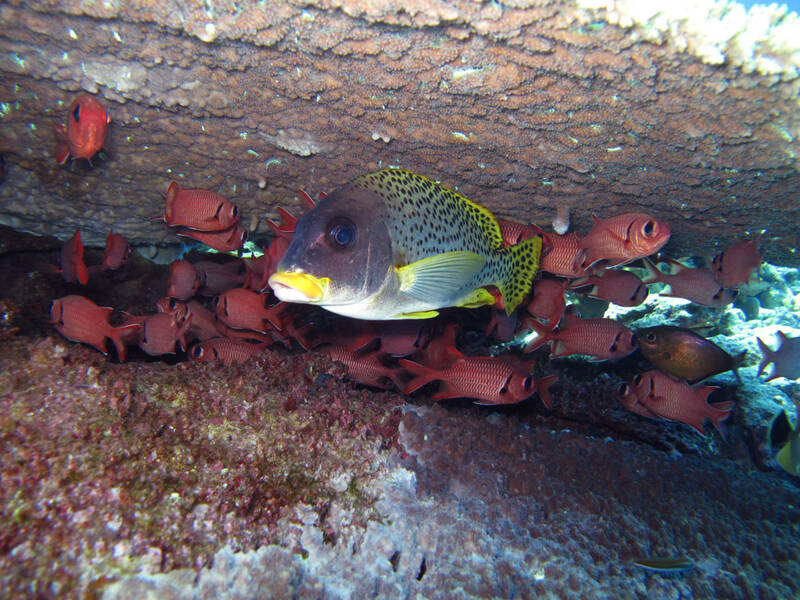 The 2 hours between the two dives are used for snorkeling, lunch and relaxation. After the second dive we return to the harbor between 16.00 and 17.00.